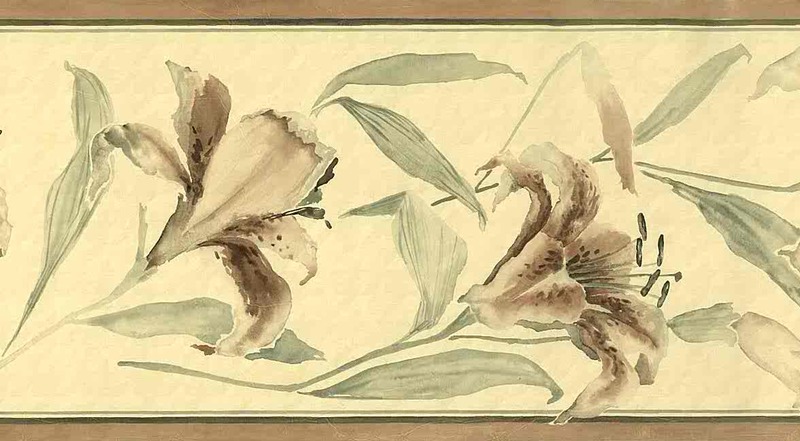 Tiger lilies vintage wallpaper border with flowers in shades of Brown with Black accents and Green leaves on a Cream crackled background. With bands of Light Brown at the top and bottom edge. There is a soothing, tropical, exotic feel to this border. The flowers are natural in layout. 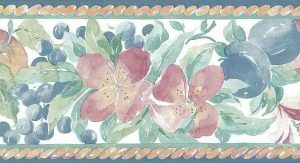 Ideal for a Kitchen, Guest Bedroom or Powder Room.